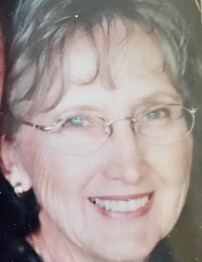 Obituary for DORIS MARION MORRIS | Sierra View Funeral Chapel & Crematory, Inc.
Doris Morris, 84, of Citrus Heights, California, went to be with her Lord on July 4, 2018. Doris was born in Tulare, California, on January 13, 1934. Doris graduated from Delano High School in 1951 and married Patrick Hart in 1952. They raised their four children in Bakersfield and Fresno, California. Doris worked for Department of Motor Vehicles until her retirement. She is preceded in death by her second husband Frank Morris. She is survived by her brother Fay Wersky, her sister Louise Crabtree, her four children Jenae Holtz (David), Monte Hart (Kierstin), Scott Hart (Cindy), and Darla Gilbert (Paul); 10 grandchildren, Taryn (Jerad), Alyssa (Easton), Erica (Juan), Steven (Celina), Alex, Kerrin, Patrick, Madeline, Hannah, Thomas; and one great grandchild, Eli; one niece Cheryl; and three nephews Russell, Roger, Richard; all of whom she loved very much. Doris loved teaching Bible Study. She played the piano, sang alto, and loved church hymns. She also enjoyed sewing, crochet, and was always known to make the best apple pies.